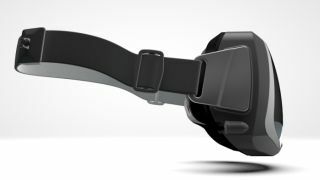 Oculus Rift has us all a little bit excited right now, so we're pleased to hear that a new and improved version of the headset will be playable at CES 2014. "We're showing the latest Rift kit at CES," tweeted Oculus team member Tom Forsyth. "Should be pretty interesting. I'm looking forward to the feedback." The ex-Valve virtual reality dev is keeping things a little cryptic for now. However a source told TechRadar that the update will specifically help to "eliminate previous issues people had with the headset", so we assume this probably means the new goggles will tackle the problem of motion sickness. That's the major gripe right now. Oculus Rift CEO Palmer Luckey also recently told TechRadar that there were prototypes that solve the motion sickness problem, and we're crossing all fingers and toes that this is the case. The 1080p version of the Oculus goggles was shown off at E3 2013, and it's full steam ahead for a 2014 release for the consumer version, expected between July and September this year. But speaking of steam, Oculus won't be alone in its quest to bring virtual reality alive - Valve is also prepping its own VR device which it will be showing off during the Steam Developer days later this month.